Discover the true meaning of luxury as you meet the talented artisans behind some of the world’s most deluxe creations. 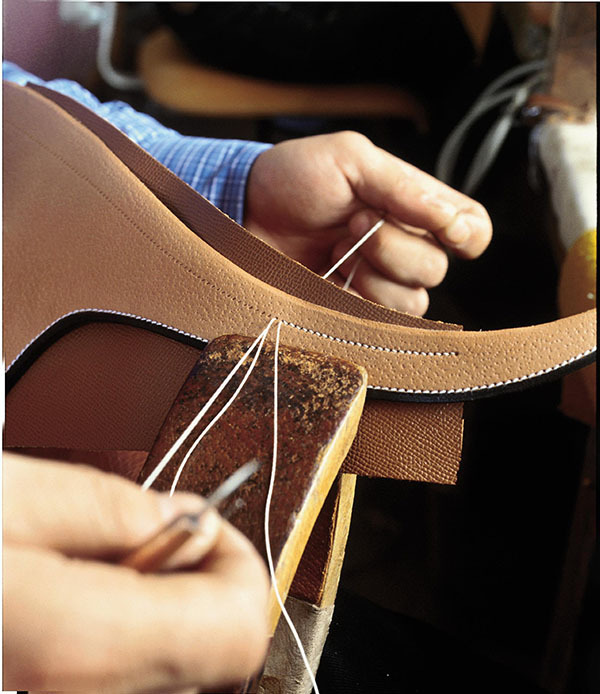 Saddle making Hermès Saddle Developed to meet the individual needs of each rider and his or her horse for both competition and leisure riding, saddles are the result of proven expertise in harness-making and saddlery since 1837. From the saddle fitting to the final adjustments, each saddle is entrusted to a single artisan and handcrafted from the finest leathers in the Paris workshop. Founded by Thierry Hermès in 1837 in Paris, Hermès was established as a harness-maker. Later, Thierry's son expanded the family business into saddlery, at the address in Paris that still houses the saddle workshops. During the early 20th century, the founder’s grandson foresaw the coming changes in transportation and envisioned new lifestyles. Introducing the signature “saddle stitch” to a wider range of leather goods, he expanded and adapted its functions for a cosmopolitan clientele. Since then, from bags and luggage to small leather goods, from clothing to silk scarves or watches and perfumes, the excellence of Hermès know-how and the range of quality objects have constantly grown. Now international in scope, Hermès is characterised by its excellent manufacturing inspired by the values of traditional craftsmanship, and remains a family group, fostering a unique creative spirit and continuous innovation. Watchmaking Jaeger-LeCoultre Watch The calibre 101 created by Jaeger-LeCoultre in 1929, with its 98 parts, is the smallest (volume) mechanical watch movement ever made. Each part of this manually wound watch is tailor-made and adjusted by hand. Only a handful of watchmakers master the techniques required to make it. The origins of Jaeger-LeCoultre are inscribed within a rich watchmaking history of innovation and increasingly intricate creations. At the vanguard of watchmaking technologies, Antoine LeCoultre founded the first LeCoultre workshop in the Joux Valley in 1833, producing parts of unprecedented precision. The workshop became a family affair, with each generation breaking industry barriers. In 1880, Edmond Jaeger opened his first workshop in Paris devoted to realising his vision of creating precise speed-measuring mechanisms. This innate passion for quality and innovation naturally gravitated these two brands towards one another and the Maison Jaeger-LeCoultre was born in 1937. Jaeger-LeCoultre preserves its heritage to this day through intricate and innovative designs. Giuseppe Sciascia began his career at Audemars Piguet as a repair watchmaker. His training took him through all the workshops in order to perfect his knowhow and technique. He then joined the after-sales service. In order to strengthen his knowledge of repeater watches he trained with "Renaud & Papy" and then joined the Audemars Piguet museum. Giuseppe’s accumulated experience permitted him to train watchmakers in the after-sales department. In the following years, Giuseppe worked with a number of companies repairing watches. He joined Jaeger-LeCoultre’s customer service in 2010 as watchmaker. He also provides technical reference for antique watches and participates in the development of repair estimates for antique watches and restorations. In 2017, Giuseppe joined the Heritage team as an expert in antique watchmaking. Fan-making Duvelleroy Fans Making a Duvelleroy fan requires a team of ten expert artisans who master techniques such as engraving, embroidery, printing and pleating. Frédérick Gay assembles the fan. He first joins a leaf to the frame by fixing sticks one by one in the centre of each pleat with glue. Once mounted, the leaf is hand trimmed. 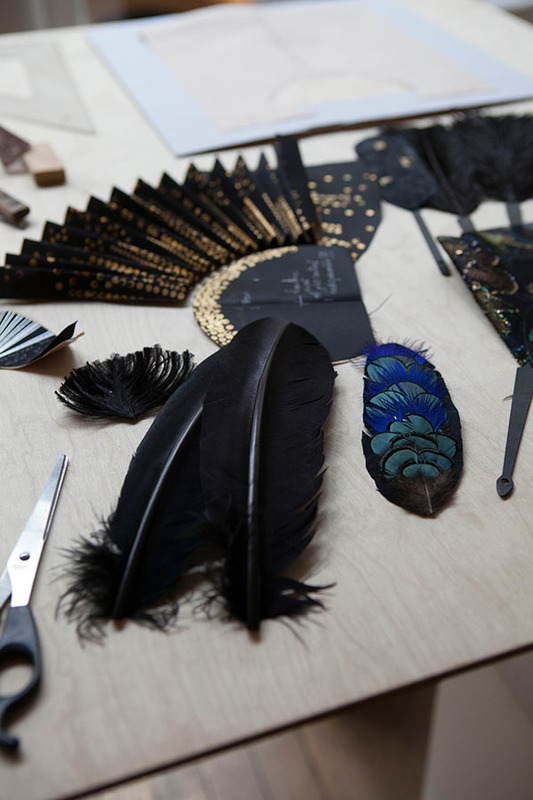 Founded in Paris in 1827 by Jean-Pierre Duvelleroy, the house began with a vision: bring fans back into fashion. Patronised by European courts and nobility, Duvelleroy quickly became an international symbol of fan making. In the 19th century, Duvelleroy opened boutiques on the Rue de la Paix in Paris and Bond Sreet in London. Starting with Queen Victoria, Duvelleroy became official suppliers to queens of the European courts. European fashion for fans saw a sharp decline after 1945, but the heritage of Duvelleroy survived largely due to its inheritor, who carefully preserved pleating moulds, vintage fans, and sketches with the conviction that something would be made of them one day. This day came when Eloïse Gilles and Raphaëlle de Panafieu came to him to present a groundbreaking project: revive and modernise the fashion of fans and revive Duvelleroy. Frédérick Gay is one of the last fan-makers in France. Frédérick was born in 1971 in Romans Sur Isère. He has a double training in plastic and applied arts. Artist and fan-maker, he masters drawing, pleating and penmanship, skills essential to the creation of fans. Frédérick studied under master fan-maker Anne Hoguet between 1997 and 1999 and learned fan-making through the restoration of fans. In 2000, he opened a fan workshop in his hometown. In parallel, he teaches drawing at the art school of Romans sur Isère. Frédérick’s work has always been inspired by the history and symbolism of fans. In 2010, Frédérick became Duvelleroy's fan-maker, creating unique pieces. Mystery Set™ Van Cleef & Arpels Jewellery A master artisan creates two millimetre thick gold rails in which they set faceted gemstones. These are set in such a way that their prongs remain invisible, creating the illusion of a freestanding gem. This technique is so intricate that it takes up to three hundred hours to produce a clip. A unique love story gave birth to Van Cleef & Arpels. Daughter of a precious stone dealer, Estelle Arpels met Alfred Van Cleef, the son of a stonecutter. The pioneering spirit of the couple drove them to create something innovative and long lasting. In 1906, Van Cleef & Arpels opened their first boutique in Place Vendôme in Paris, a square synonymous with Parisian luxury and elegance. Van Cleef & Arpels produced emblematic high jewellery of the Art Deco period set apart by their refinement and innovation. In 1933, they patented their Mystery Set™ technique. The company grew rapidly, becoming the first French jeweller to open boutiques in Japan and China. Today, Van Cleef & Arpels perpetuates the heritage, vision of excellence and innovation that first brought the company together. Silk weaving Antico Setificio Fiorentino Fabric Fabrics woven on antique hand looms from the 1700s and semi mechanical looms from the 1800s. A machine designed by Leonardo da Vinci prepares the warp for trims. Ermisino, a shot taffeta, combines different colours for the warp and the weft, creating an iridescent effect. Ermisino, together with brocades and damasks, have been woven for centuries. Artisans from Antico Setificio Fiorentino. Antico Setificio Fiorentino is an ancient silk mill located in the heart of Florence founded by noble Florentine families. Thanks to its ancient looms and a unique warp machine based on a design by Leonardo da Vinci, the mill perpetuates precious traditions of Renaissance textile art. The mill thrived during the second half of the 20th century when the company started to manufacture textiles to furnish stately homes and museums, both in Italy and internationally. Today the mill is Florence’s only surviving silk mill. The mill’s purposefully slow woven brocades, damasks, lampas and filaticcio, fabrics remain their principal production to this day. The luxury menswear company Stefano Ricci S.p.A. acquired the mill in 2010, ensuring a continued Florentine direction for this remarkable jewel of craftsmanship. Beatrice, Daniela, Luana, Simona and Vanessa are some of the artisans who work every day at the Antico Setificio Fiorentino. The manual skills and technical knowledge used within this factory on seventeenth and eighteenth century looms are kept alive thanks to a tradition that is based upon the work of woman artisans. 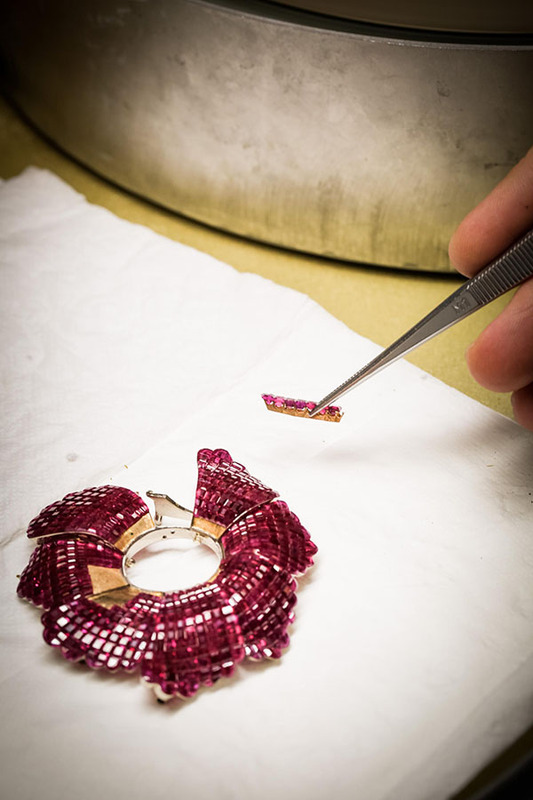 The secrets of this workmanship have been handed down since 1786 through everyday use as transferred from mothers to their daughters, especially within the working-class Florentine neighbourhood of San Frediano. Glyptic Cartier Jewellery Using time-honoured skills, the master glyptician sculpts a relief drawing or intaglio design onto precious or semi-precious stones such as quartz, jade, amethyst and rubellite, as well as hard stones and fossilised wood. Louis-François Cartier founded Cartier in Paris in 1847. The company passed from father to son, but it was Louis-François’ grandsons Louis, Pierre and Jacques who established Cartier internationally. In 1904, the Maison was honoured with its first warrant as official supplier, delivered by King Edward VII. Many others followed, thus establishing Cartier’s reputation around the globe. Cartier is synonymous with excellence as well as commitment, passing on its heritage, supporting craftsmanship and encouraging creation. In 1983, Cartier established what would become the Cartier Collection that today brings together 1,600 historic pieces, which are exhibited in major cultural institutions. The following year, the Fondation Cartier pour l’art contemporain was created, born from a desire to promote contemporary artistic creation. In 2015, Cartier inaugurated the Maison des Métiers d’Art. Philippe Nicolas is a sculptor-engraver. After completing his studies in the École Boulle in Paris, Philippe furthered his artistic training by joining the engraving workshop of fine and hard stones at the Paris School of Fine Arts. He has put this rare glyptic knowhow at the disposition of famous jewellers since the mid-1980s and has contributed to the promotion and recognition of this fine craft. In 2008, Philippe was awarded the title of Master of Art by the French Ministry of Culture, an award that recognises the expert knowledge of artists or artisans and their commitment to transmitting this knowledge. In 2015, he was promoted to Knight of Arts and Letters. Philippe joined Cartier in 2010, where he runs the workshop and trains four students. Embroidery, Home linen Embroiderers from Madeira Embroidery A design is drawn on wax paper which is then perforated along the outline. Using a sponge soaked in blue ink the drawing is transposed from paper to fabric. The outlined fabric is then sent to the home of the artisan who will spend many hours embroidering the fabric by hand, before returning it to the factory to be trimmed, washed, ironed and checked. Embroidery has been linked with the island of Madeira since the 15th century, and Bordado de Madeira (embroidery) became acclaimed for its beauty and perfection in the 19th century. It is still handcrafted on the island as it was centuries ago. The technique was internationally recognised in 1850 and the first process of Madeira Embroidery certification dates back to 1938. The Madeira Embroidery, Tapestries and Handicrafts Institute (IBTAM) was created in 1977 and aims to support the sector of embroidery and handicrafts in general as well as to restructure the embroidery sector. Prior to commercialisation, all products that are made on the island of Madeira are submitted to a technical assessment by the IBTAM to ensure the highest standards of quality are respected. Maria Ana Freitas Lemos was born in 1968 in Porto da Cruz, a village on the north coast of Madeira. 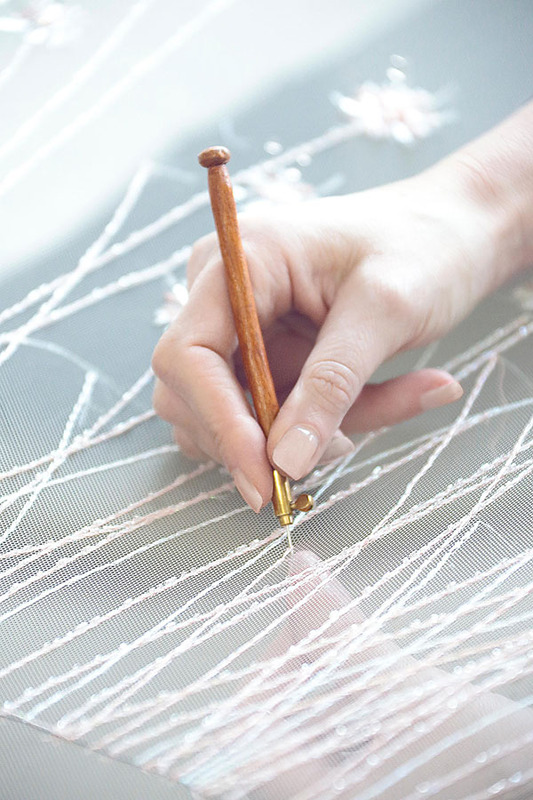 She has always been an embroiderer and has taken several courses during her career. Nowadays, she is also a trainer of this well-known art. She entered the world of embroidery when she was a little girl by watching her mother and grandmother for hours while they created wonderful pieces of Madeira Embroidery. She was fascinated by this art and thus became an embroiderer. Her favorite thing to do is to show Madeira Embroidery to people that do not know it. Her favourite pieces are tablecloths, table centrepieces and bath towels. With respect to stitches, her favourites are pulled thread, Richelieu, padded satin, outline, broderie anglaise with bars, rondels and open leaves and satin leaves. Ana Luísa Abreu Ornelas Santos was born in 1965 in Porto da Cruz, a village on the north coast of Madeira. Her interests in life are cooking, hiking and of course embroidery. She became an embroiderer not only to keep the tradition alive but also because she enjoys doing it. It is a tradition that has passed from generation to generation, and she was influenced by her mother and grandmother who were also embroiderers. She has taken several courses related to embroidery and has become a trainer. 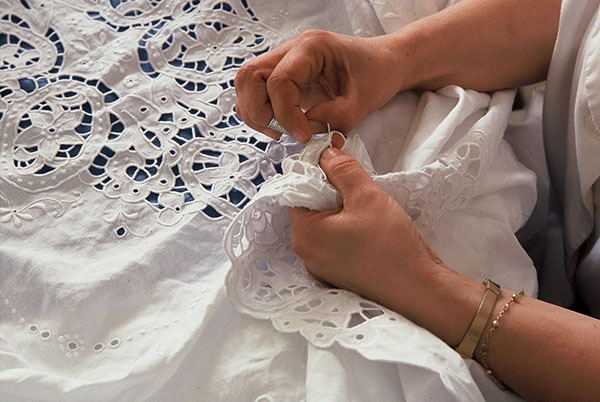 What Luísa likes embroidering the most are table centrepieces, garments, bars for bath towels and doilies. Luisa’s favourite stitches are outline, rondels, Richelieu, padded satin, broderie anglaise with bars, pulled thread and French stitch. Gold Nib Crafting Montblanc Pen The artisan works through 35 different stages to create a single Montblanc nib, rolling, stamping and shaping the 18 karat gold with painstaking patience, before engraving it with Montblanc’s trademark star and the number 4810, Mont Blanc’s height in metres. It all started in 1906 with a vision to create a tool that would revolutionise the art of handwriting. Inspired by the latest mechanical innovations witnessed during their travels to America, Hamburg merchant Alfred Nehemias and engineering mastermind August Eberstein teamed up with entrepreneur Claus Voss to bring their idea to life. Together, they produced a writing instrument with non-leaking technology and a piston convertor that would change the course of writing history forever, thus laying the foundations for Montblanc. Originally trading as “Simplo Filler Pen Co”, the newly founded Maison created a premium-quality writing instrument, a safety filler named "Rouge et Noir", in 1909. Shortly after, in 1910, the name Montblanc was adopted for the company, inspired by the highest mountain in Europe and symbolising their vision of excellence. Frank Derlien studied precision mechanics and mechanical engineering. He has worked with Montblanc since 1991, first as an expert craftsman in the resin department and tool building department. In 1998, he became nib-manufacturing manager, a position that he holds to the present day. Since 2012, he has also managed final assembly. As an apprentice, Axel Nier studied precision mechanic tool and mould manufacturing between 1987 and 1992. He started to put his technical knowledge into practice in 1993, working with a subsidiary company of Montblanc’s until 1996. In 1997, he joined Montblanc metal department and workshop as an expert craftsman and remained in this department until 2005 when he joined Montblanc’s nib department. He held this position until 2015 and in 2016 became a fountain pen and writing expert at Montblanc Hamburg. Axel is now responsible for bespoke nib service and training. Ina Mathée is a nib-grinding expert. She has worked with Montblanc since 1987. Kathrin Bechtold undertook studies as a dental technician and worked as an expert dental technician from 2000 to 2006. 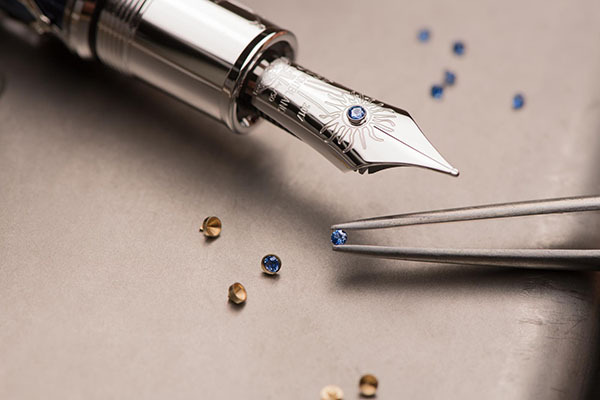 She started to work with Montblanc in 2007, creating custom-made nibs. Stefan Friedrich was an apprentice toolmaker at Montblanc from 1992 to 1996 and continued to work in their laboratory centre until 1999. In 2005, he was named Deputy Head of the nib department, a position that he held until 2015. In 2016, he became senior team leader in the nib department. Ute Rohwedder studied nib grinding. She started to put this technical knowledge, acquired in 1993, into practice by working with a subsidiary company of Montblanc’s until 1996. In 1997, she joined Montblanc as a nib production worker. She entered the quality centre of the nib department in 2008 and continues to work in this department to the present day. Ute is an expert bespoke nib artisan. Eyewear making Maison Bonnet Eyewear The artisan works with the client to elaborate the style of frame and choose the materials to be used, before taking a minimum of 12 facial measurements. Made by hand in a ten-step process, the frames are shaped and polished to absorb or reflect light in a particular manner, then fitted to the wearer. Each frame can take between six and thirty hours to manufacture. This spectacles-maker’s story was started four generations ago by Alfred Bonnet. An eyewear manufacturer working in Morez, he passed down his precious knowhow to his son Robert. After working for prestigious eyewear workshops, Robert opened his own studio in 1950 and naturally named it Maison Bonnet. The house dedicates itself to handmade bespoke frames, made of precious materials. From a very young age, Robert’s son Christian was plunged into this world. Trained in the workshop from the age of 14 and through optical courses, Christian managed to maintain this legacy in a changing market. Master of Art, Knight of the Legion of Honour, Christian works from his workshop in Burgundy where he transmits his passion to his students. His sons, Franck, John and Steven, have led Maison Bonnet into the 21st century. Porcelain decoration Nymphenburg Ceramic vessel The painters first combine and mix enamel powders, drawing on their rich knowledge of the final fired outcome of colours. Painters then work to produce intricately detailed decorations without using templates. The production of a single plate can take up to three weeks. 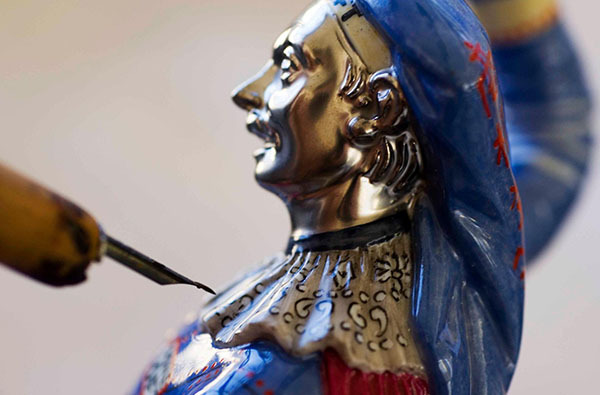 Porzellan Manufaktur Nymphenburg has been producing fine porcelain since 1747. With its original workshop buildings from the 18th century, Nymphenburg is the last pure porcelain manufacturer in the world, and has used the same techniques for 271 years. To this day, all the mechanical equipment like mills, mixing vats and potter’s wheels are water-powered by the estate’s river. Nymphenburg creates and mixes its own paints. The factory produces 100 percent handmade porcelain. Even the paste is still produced by hand, taking three years from the initial mix of kaolin, feldspar and quartz to the final product. The strong interaction between contemporary artists and designers and the artisans of the factory creates space for experimentation and ensures that the original idea and concept of the artist is realised completely. Alisha Mischkowski, 28, started her career at Nymphenburg in 2016. She has an excellent knowledge of glass painting and restoration due to her prior apprenticeship. Now in her second year as an apprentice at the factory, she has turned out to be a remarkable painter of flowers, animals and landscapes. Alisha uses fine squirrel hair brushes, which she prepares to give them an extra thin tip. In 2016 Julie Birnbauer, 21, started working for Nymphenburg. Already in the first two years of her apprenticeship, she developed a great passion for painting landscapes, flowers and animals. Her favourites are butterflies and shimmering beetles. Porcelain painters need patience, inner calm, and of course discipline in order to apply the many minute details to the glazed porcelain with precise brushstrokes. Katharina Neumann, 27, began her training as a porcelain painter at Nymphenburg in 2008. Today she is already working as the right hand woman of the head of painting. Despite the diversity of her duties, she has a special preference: skulls. Five out of seven skull editions so far have already taken shape in her adept hands. Katharina's second passion is lettering: monograms, prize trophies and special filigree painted decorations - whenever something is particularly tricky, she reaches for the brush. 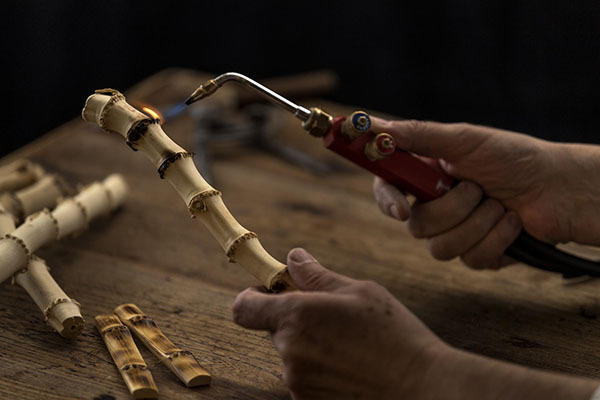 Cutlery maker Lorenzi Milano Knife Craftsmen work with natural materials such as bamboo, horn, wood, stag antlers and mother of pearl to create stunning handles for knives and cutlery. To prepare a bamboo handle for a knife, the artisan takes the raw bamboo and cuts it to shape. The artisan then burns it over a flame to darken the wood, before polishing it with beeswax. Only the most skilful hands can turn natural materials into everyday yet original and unique objects. 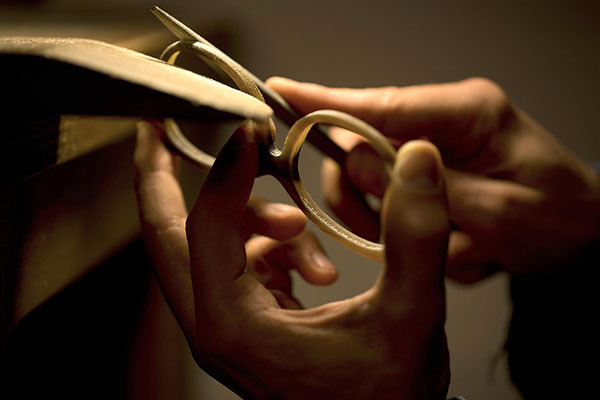 These hands belong to the craftsmen of Lorenzi Milano, who every day shape precious materials. Giovanni Lorenzi opened his workshop specialised in the production of cutlery and grinding in Milan in 1929. In 1959, the company passed from father to sons, growing with a larger set of products but always placing great importance on traditional items. In the early 2000s, Giovanni’s grandson Mauro, intent on preserving and promoting the values of craftsmanship, opened Cedes, a company equipped with manufacturing facilities. When the historic shop closed in 2014, the family decided to give up the G.Lorenzi brand that would live on through Cedes. However, understanding the importance of the Lorenzi name, Mauro and his children revived the brand in 2017 under the name Lorenzi Milano. Oreste Emilio Barioglio was born in Milan in 1956. Having finished his school education, Oreste immediately started an apprenticeship to a goldsmith in Milan. He here learnt the art of metalworking, including techniques such as welding, casting and hammering a variety of alloys. In the 1980s, Oreste decided to change from metalwork to leatherwork and started to work with a workshop dedicated to the production of accessories for haute couture. This provided him with first-hand insight into the production process. In the 1990s, he joined G. Lorenzi and assisted the expert artisans in the workshop. Thanks to his knowledge of metal and leather as well as his expertise acquired over the years, in 2010 Oreste became a master artisan responsible for production at the Lorenzi workshop. Nolasco Valenzuela was born in Batangas, Philippines, in 1976. In 2006, he moved to Italy and he immediately started to work in the logistics department at the G.Lorenzi shop located in Milan, in Montenapoleone street. After few years, thanks to his skills and passion for production procedures using natural materials, he started to assist the expert artisans in the workshop. After the shop closed in 2014, he joined the Lorenzi Milano workshop focusing only on production thanks to his knowledge acquired over the years. 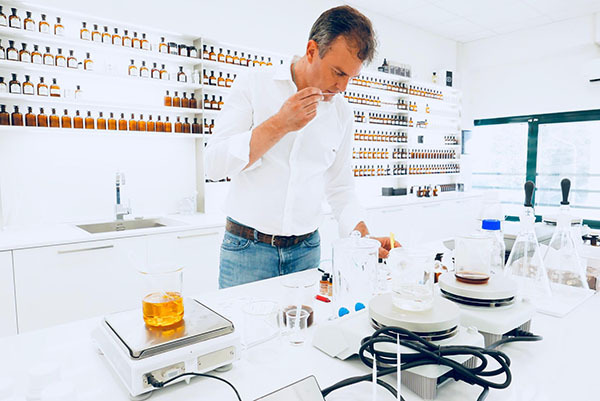 Aquaflor Perfumes Through a complex and delicate process, the master perfumer works with precious scented raw materials sourced from every corner of the world to create the desired bespoke fragrance. Aquaflor in Florence is a Maison de Parfum. The atelier and the laboratory, as well as, the perfumer’s studio are located in a historic Renaissance palace in the Santa Croce district. The Aquaflor collections, inspired by artistic perfumery, comprise perfumes, colognes, moisturizing waters, room fragrances, candles, and more. The line of cosmetics includes handmade soaps, body lotion, and vegetable body wash. The perfumer's organ contains an extensive collection of over one-thousand raw materials, including precious natural extracts and synthetic molecules. Sileno Cheloni creates tailor made fragrances and signature scents, a unique opportunity by way of a private and exclusive meeting in the perfumer's studio. 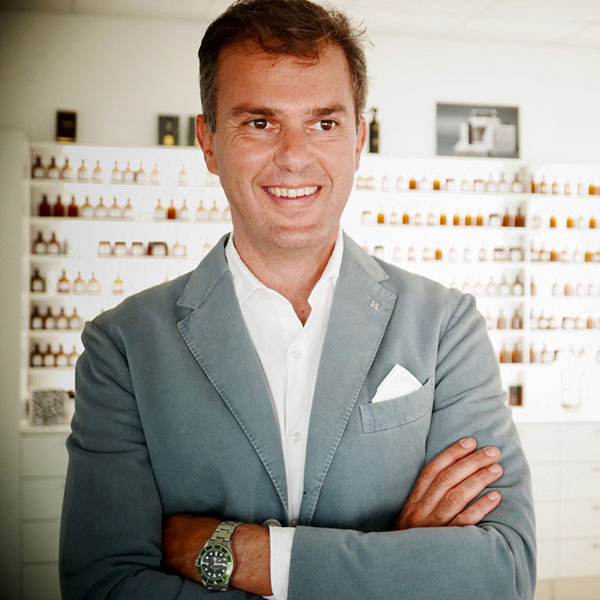 Born in Milan, perfumer Nicola Bianchi has authored fine fragrances for important international houses both in perfumery and in the cosmetic world. His motto: ”Cre-ating fine fragrances is not just a matter of technique, it takes passion, because every perfume is a unique and unrepeatable creation." Vacheron Constantin Watch Grisaille enamelling is a method of painting in grey monochrome enamel. The watch dial is first covered with a layer of dark-coloured enamel, then using a very thin brush and needle, a decorative white enamel is applied to its surface. The final design is fired, changing the colour and revealing a three dimensional effect. Founded in 1755, Vacheron Constantin is the world’s oldest watch manufacturer in continuous production for over 260 years, faithfully perpetuating a proud heritage of watchmaking excellence and stylistic sophistication through generations of master craftsmen. At the pinnacle of high horology and understated elegance, the Maison creates timepieces with unique technical and aesthetic signatures, and an extremely high level of finishing touches. Vacheron Constantin brings to life unparalleled heritage and a spirit of innovation through its key collections: Patrimony, Traditionnelle, Métiers d’Art, Overseas, Fiftysix and Historiques. It also offers its discerning clientele of connoisseurs the rare opportunity to acquire unique and bespoke timepieces by means of its “Les Cabinotiers“ department. Born in 1962, Laurent Ramat grew up in one the cradles of French enamel, the city of Limoges. Growing up, he developed a particular interest in drawing and painting and enrolled in the Decorative Arts school of Limoges in 1979. At the same time, he undertook an enamelling apprenticeship at Atelier Faure. Following his studies, Laurent joined a prestigious enamelling workshop in Limoges and further developed his enamel techniques such as grisaille, champlevé and cloisonné. 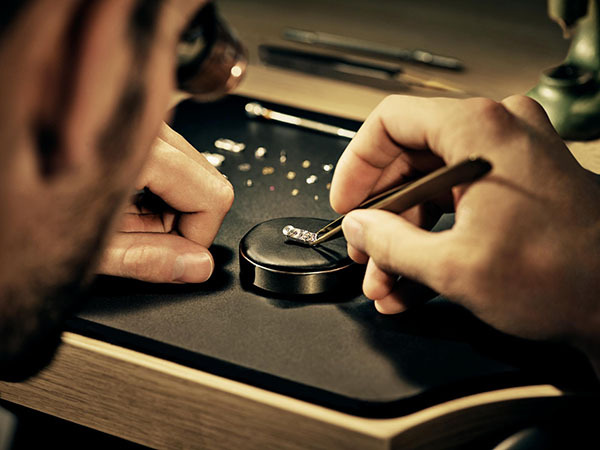 In 2012, Laurent joined the manufacture of the “Metier d’Art” department at Vacheron Constantin, Geneva. By working alongside other artisans and specialists, he has been able to broaden his technical skills, becoming Vacheron Constantin’s master enameller. Laurent is particularly fond of grisaille enamel work. Santoni Shoes Velatura is a manual and artistic shoe colouring technique. Colour is applied in subsequent layers, one on top of the other, until the desired hue arises. The result is rich and dense, and non-repeatable as a fingerprint, because it is made by hand. 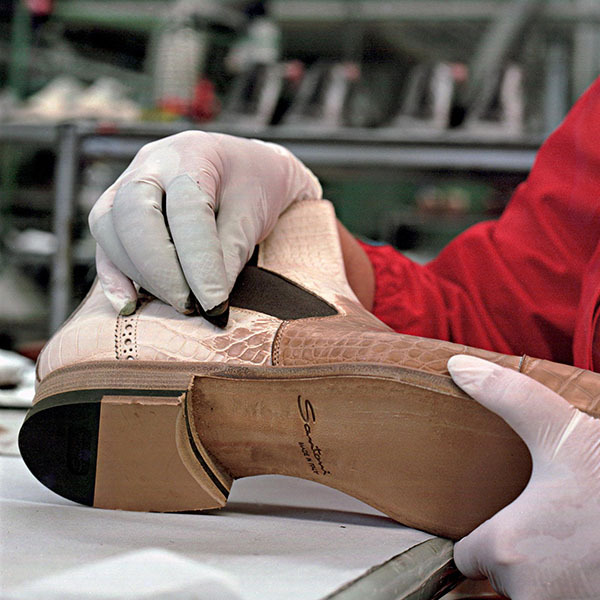 Santoni started operations in 1975 in Corridonia, in the heart of the shoemaking district of the Marche region of Italy. What was originally a high-end footwear workshop turned, over forty years, into a leading player in the global luxury goods market. Giuseppe Santoni currently manages the company and combines his father’s passion for the craft with the vision of a global, innovative and multifaceted brand. Authenticity is the founding value of Santoni, a brand that innovates by being faithful to tradition. Santoni combines traditional shoemaking techniques with evolving design and research to release products for a demanding and sophisticated clientele. Colours and materials characterise tactile, sensual and sophisticated creations. 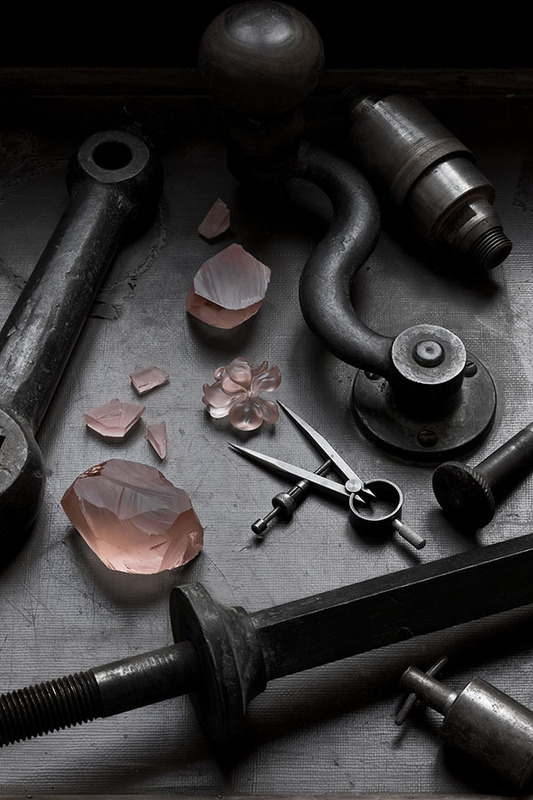 Beauty, for Santoni, is always synonymous with superior materials, high craftsmanship and dedication to aesthetics. Robert Four Tapestry Tapestries or carpets are made following traditional techniques that require a close collaboration between artist, cartoonist, dyer and weaver. The artist draws the design, which is then transferred to the base paper and converted into a woven language by the cartoonist. The latter specifies the colours of the work and a dyer colours the yarns. The tapestry is then entirely woven by hand from the back. Robert Four is one of the emblematic inheritors of the royal manufacturers installed in the town of Aubusson in the 17th century by Louis IV. The talent of the artisans meets that of the artists resulting in the creation of carpets and tapestries that blur the borders between art and decoration. 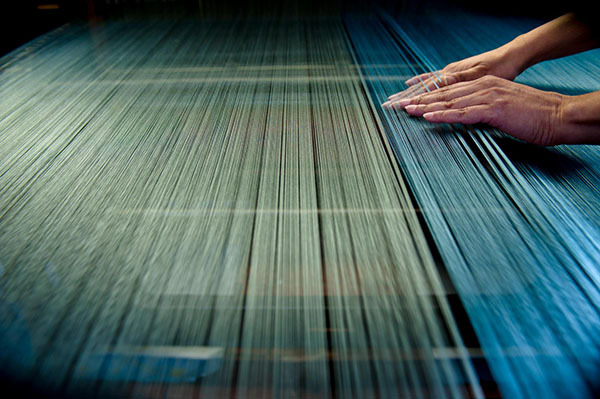 The art of weaving has remained almost unchanged for the past five centuries. 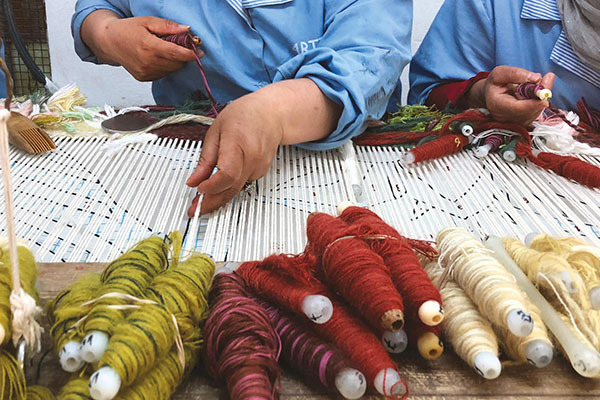 Only two major changes have altered the production process: new yarn combinations mixed with dyed wool threads now come in over 900 colours; and the development of weaving from an artist's cardboard sketch according to Jean Lurçat's method. Otherwise, techniques have remained the same. No modern mechanism or computer programme has replaced the skillful gestures of the master artisans who complete the tapestries and carpets entirely by hand from start to finish. On the loom: Three studies for “Paysages Marins” tapestry signed by Jean Baptiste Auvray. Before weaving the tapestry, the three weavers will provide Jean Baptiste Auvray with their own interpretation of the work that fits his requirements, making use of their creativity and mastery. Marie Catherine is a master velouteuse who embodies French hand-knotting in Aubusson. She inherited her passion for this meticulous craft from her mother. She has been weaving prestigious rugs ordered in Aubusson since she was eighteen. Marie graduated from the National School of Decorative Arts in Aubusson (ENAD). She now manages the Robert Four manufacture in Aubusson and trains future velouteuses. Master “Basse lisse” weaver Sylvie Chazeaux is passionate for the works of Jean Lurçat and using her knowledge of this high technique to create new artistic textures. Sylvie Chazeaux graduated from the National School of the Decorative arts in Aubusson. Mélanie Lajoie graduated from the Robert Four Art of Tapestry and Rugs weaving school, certified by the French Ministry of National Education. Mélanie is currently specialises in combinations of new yarns and she can weave "basse lisse" as well "haute lisse". London Alfred Dunhill Leather accessories Each Alfred Dunhill leather bag is created by a skilled craftsperson who is responsible for every aspect of the construction from start to finish. The pieces of leather are sewn together by machine and by hand, and each completed bag bears the individual signature of the craftsman who created it. Dunhill is design driven, with style, substance and purpose; engineering unique and stylish luxuries for men. It was founded in 1893 when Alfred Dunhill took over his father’s harness manufacturing business. Alfred developed and invented products for the emerging motoring industry to meet the needs of a new generation. Leather craftsmanship is as integral today as it was 125 years ago. In the leather workshops of London’s Walthamstow and in Italy, Dunhill upholds the tradition of considered craft. “It must be useful, it must work dependably, it must be beautiful, it must last, it must be the best of its kind” is the mantra of Alfred that still drives the business forward. Dunhill is a leading British luxury menswear brand with a global retail and digital presence, led by the vision of Creative Director, Mark Weston and CEO, Andrew Maag. 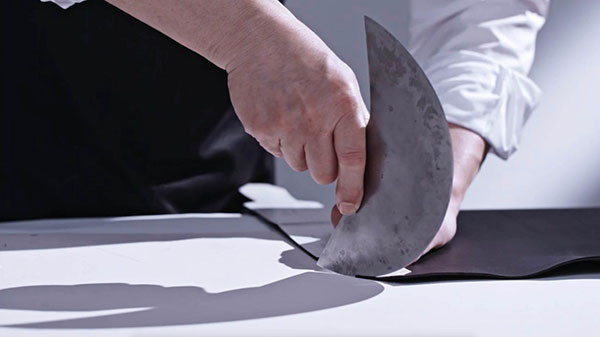 Responsible for manufacturing the bespoke and custom leather goods, Tomasz Nosarzewski manages a workshop of skilled artisans, creating unique luxury leather pieces for Alfred Dunhill customers. After starting his first apprenticeship in the small family workshop in Warsaw, where he learned the basis of leather craft, Tomasz attended the prestigious school of Leather Art and Craft in France, quickly becoming an expert in the creation of leather goods. For 17 years, Tomasz worked for a number of brands specialising in prototypes for new collections, before joining Alfred Dunhill in 2003, where he remains today as Made For You Leather Manufacturing Manager in the workshop in Walthamstow, East London. Ricky Potts began his career with a 5 year apprenticeship at F & J Randall’s. Accredited with a Royal Warrant of Appointment, it is here that he honed his craft and learnt all the skills required to produce high quality, handmade luxury leather goods for the high end market. Since then Ricky has had over 30 years’ experience in the industry, including 17 years at Alfred Dunhill where he currently presides as Senior Leather Modelist. Managing a highly skilled team, Ricky is responsible for the cutting of all products and overseeing them through to final production, ensuring that they are finished to the high standards required by the house. With experience in bespoke pattern cutting, product development and customized leather projects, Linda Ramsvik has been with Alfred Dunhill for 3 years. Now a Leather Modelist, with previous roles in Production and Bespoke as well as training staff in house on personalisation, Linda will be demonstrating hand sewing saddlery techniques as well as creating a Wolsley doctor’s bag. Venini Glass vessel The techniques for the cold working of glass are the final phase of a production process that passes through the heat of the furnaces and concludes with this polishing or finishing phase using a diamond wheel. The cold techniques are so highly characteristic of the company that they have lent their name to Venini’s Battuti and Incisi. Founded in 1921 by P. Venini and G. Cappellin, Venini would become a model of excellence in the world of artistic glass. Over time, Venini entered into important partnerships with artists such as Bianconi, Martinuzzi, Scarpa, Zecchin, Bianconi and designers like Peter Marino, Tadao Ando, Ron Arad. Venini presents its works in two collections: Art Glass brings together sculptural vases; Art Light features lighting installations. Venini boasts an unmatched colour palette; its furnace is the only one capable of producing 125 different colours. Venini has always created objects destined to appreciate in value and the hammer prices of its glassware reach record figures at major auctions. Creations bearing the Venini signature have become part of the permanent collections of important international museums such as MoMA in New York. Since 2016, the Damiani family have held the controlling interest in Venini S.p.A.
Born in 1963, Marco Visentini first approached the world of glass at the age of 13 when his father, a master glassmaker, took him to his glassworks during the school holidays to learn the fundamentals of this art. Upon leaving school in 1982, he joined his father’s company as a bookkeeper. In his spare time, he started to develop an interest in the technical side of the business. His acquaintance with a number of technicians from Murano soon allowed him to learn the finer details of glassmaking, and in just a few years, he became production coordinator. After the family business was sold, he gained significant experience in other companies. In 2007, he joined Venini as Production Manager, handling and coordinating the company’s heat processing and grinding operations. Born in 1963, Paolo Toffanin entered the world of glassware quite by chance in 1979, when he was offered a job as assistant grinder for the winter season. He was so galvanised by this experience that he decided to settle in Murano. In 1988, he joined Venini where he has held various roles, in particular, handling the grinding work for Toni Zuccheri’s Anatre and Fischioni and the construction of his Upupa. In 2016, he was promoted to head of the grinding department, a task he fulfils with passion and dedication. Born in 1968, Michele Salso’s first encounter with the world of glass was at the age of eight, when he would visit his father, a master glassblower, and his uncles at the glassworks where they worked. He later decided to take up this fascinating trade. He embarked on his career in 1988, starting out in the grinding department. Having developed a keen interest in cold processing, he decided to continue in this field, testing and refining the techniques he was taught. In 2003, he joined Venini, where he was entrusted with increasingly challenging projects, most notably the decorations for Tadao Ando’s vases. He is particularly proud of his ability to work on especially complex, painstaking projects. Born in 1971, Diego Rossi is the son of a master glassmaker. After his compulsory education, in 1989 he decided to start working in Murano. Having acquired the fundamental skills of glassmaking, he joined Venini in 2000, where, under the guidance of his senior colleagues, he acquired and developed a number of sophisticated corporate techniques. He specialised in the Inciso series by Carlo Scarpa, produced by means of a sandstone grinding wheel. Born in 1975, Vanni Tagliapietra has always been fascinated by Venini, where he joined the grinding department in 2000. The support of his senior colleagues, alongside his own dedication and willingness to learn, have allowed him to grow considerably within the company. His desire to test his limits and push the boundaries has led him to create extremely lightweight ground products. His early morning rises are fully rewarded by the satisfaction of seeing his works displayed in shop windows and exported worldwide, in the knowledge that he is contributing to keeping this beautiful art alive. He uses the full gamut of grinding techniques, including “hammering” on a bed of murrine, a technique developed by Carlo Scarpa. Smythson Books Smythson diaries and notebooks are bound in the workshops using traditional bookbinding techniques. 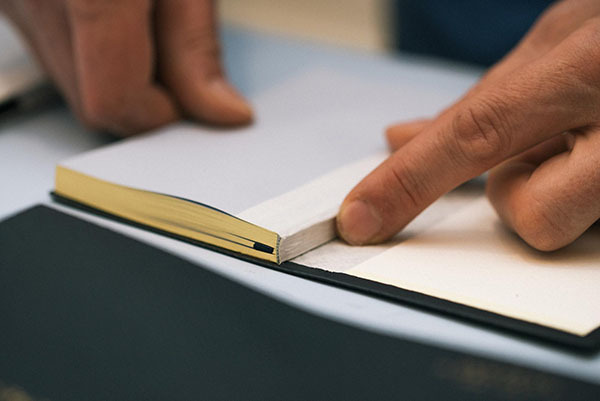 Each is filled with Smythson's patented ‘featherweight’ paper, which is cut, sanded and gilded before being bound. Each page is machine printed, folded and carefully sewn before being glued to the spine. Frank Smythson Ltd was established in London in 1887, opening its first store on Mayfair’s iconic New Bond Street. In 1908, Frank Smythson created the world’s first lightweight, portable diary which was hailed as the “Panama hat of books”. The Panama diary’s binding was uniquely hard-wearing and pliable, allowing it to be squashed, folded or rolled up without the diary becoming marked or misshapen. Smythson currently holds three Royal Warrants and was one of only eight companies to previously hold four Royal Warrants simultaneously. To this day, every handcrafted Smythson collection draws inspiration from the brand’s rich heritage, respecting the highest standards of craftsmanship developed throughout the company’s long and illustrious history. Martin Soderquist graduated from the London College of Printing and Bookbinding and began his career as a qualified bookbinder in 1974. He has been producing leather bound products for Smythson of Bond Street for just over 40 years. Martin is one of Smythson’s most experienced artisans. He is specialised in the production of handmade albums and bespoke leather-bound projects for clients. Copper wheel engraving on crystal J.& L. Lobmeyr Glass engraving An artisan traces a design onto the surface of glass with ink and seals it with shellac. Using a rotating copper wheel with attached abrasive, the artisan cuts the shape out of the glass. Any shape and pattern can created by altering the speed of the wheel, order of the cuts and a number of other variables. A single letter can take hours to engrave, some pieces taking more than one-thousand hours to engrave. While J & L Lobmeyr does focus on the contemporary exploration of crystal, it has always put strong emphasis on cultivating its history, using old pieces to inspire new ones, and drawing on traditional know-how to create innovations. Josef Lobmeyr founded the company in Vienna in 1823 and soon became a provider to the Imperial Court. The company has passed down the family to the present day and sales have expanded internationally. 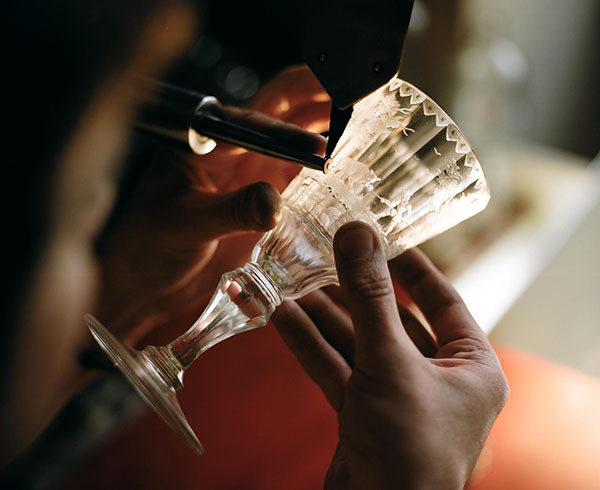 Each piece of glassware passes through at least 24 hands before finally being inspected by a member of the family. Throughout its history, Lobmeyr has had a rich tradition of working with renowned designers, painters and architects such as Josef Hoffmann or Adolf Loos, and today works with contemporary designers such as Stefan Sagmeister and Helmut Lang. An artisan traces a design onto the surface of glass with ink and seals it with shellac. Using a rotating copper wheel with attached abrasive, the artisan cuts the shape out of the glass. Any shape and pattern can created by altering the speed of the wheel, order of the cuts and a number of other variables. A single letter can take hours to engrave, some pieces taking more than a thousand hours to engrave. An artisan traces a design onto the surface of glass with ink and seals it with shellac. Using a rotating copper wheel with attached abrasive, the artisan cuts the shape out of the glass. Any shape and pattern can created by altering the speed of the wheel, order of the cuts and a number of other variables. A single letter can take hours to engrave, some pieces taking more than a thousand hours to engrave. While J & L Lobmeyr does focus on the contemporary exploration of crystal, it has always put strong emphasis on cultivating its history, using old pieces to inspire new ones, and drawing on traditional know-how to create innovations. Josef Lobmeyr founded the company in Vienna in 1823 and soon became a provider to the Imperial Court. The company has passed down the family to the present day and sales have expanded internationally. Each piece of glassware passes through at least 24 hands before finally being inspected by a member of the family. Throughout its history, Lobmeyr has had a rich tradition of working with renowned designers, painters and architects such as Josef Hoffmann or Adolf Loos, and today works with contemporary designers such as Stefan Sagmeister and Helmut Lang. 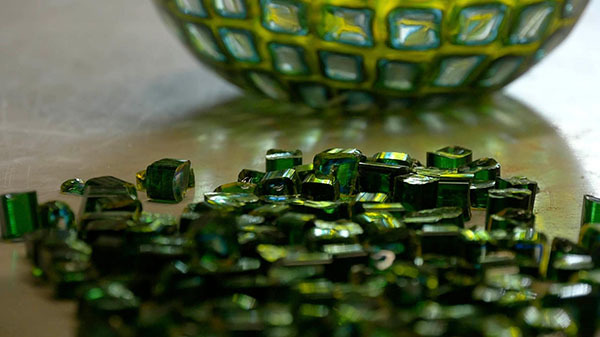 Edmond Suciu was born in 1980 in Medias, Romania, into a family that has long been associated with glass. Micu Manole introduced him to glass engraving in 1999 and Edmond then became his apprentice for two years. In 2002, Edmond engraved special pieces for S.C. Vitrometan Medias. In 2004, he met master engraver Magyara Lali and worked with him, further developing his technique until 2006. While working with Magyara Lali, Edmond began studies at the University of Arts and Design Cluj, Romania, but in 2006 decided to move abroad to further his experience. He worked with a number of British companies until 2016, the year he joined Lobmeyr. 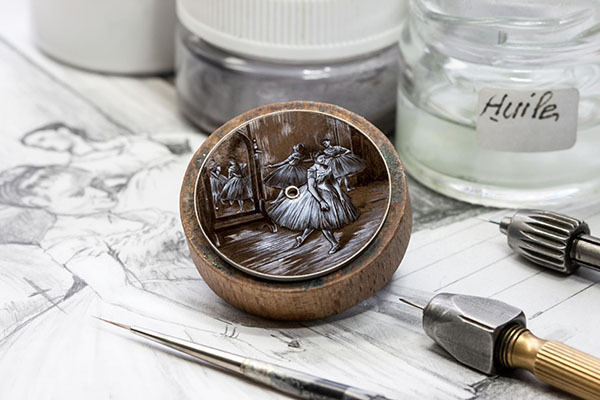 Edmond’s favourite style of engraving is deep intaglio with a diamond and copper wheel, and he prefers to work on classic themes. Born in Frydlant, Bohemia, in 1986, Pavlina Cambalova first studied gem-cutting and engraving at Turnov and later studied glass engraving with Jiri Tesar at Novy Bor. She joined Lobmeyr engraving in 2008, mainly developing organic designs together with Ted Muehling or Formafantasma. Increasingly, Pavlina has become a prominent figure in the international art scene, teaching at Corning and Pilchuck in the United States and Frauenau in Germany as well as the Czech Republic. Consequentially she now only occasionally works for Lobmeyr. Her works have figured in approximately 150 group and solo exhibitions and have been acquired by leading glass museums. Pavlina loves nature, which is also a big inspiration for her work. Embroidery Lesage Embroidery For over a hundred years, agile and inventive Parisian artisans adorn Haute Couture and Ready-to-Wear collections with exceptional embroideries requiring unique skills. These specific embroideries are a combination of traditional techniques acquired over centuries, using needle or hook, and new techniques created by the House, like the vermicelli and volume embroidery with innovative materials. A métier d’art embracing modernity while enriching the fashion artistic heritage.